I spent the weekend in Boston with my sister. It was a lovely vacation from the city. The first time I visited Boston with my sister years ago we did a ton of touristy things. So now whenever I visit, it’s more about hanging out with my sister than anything else. 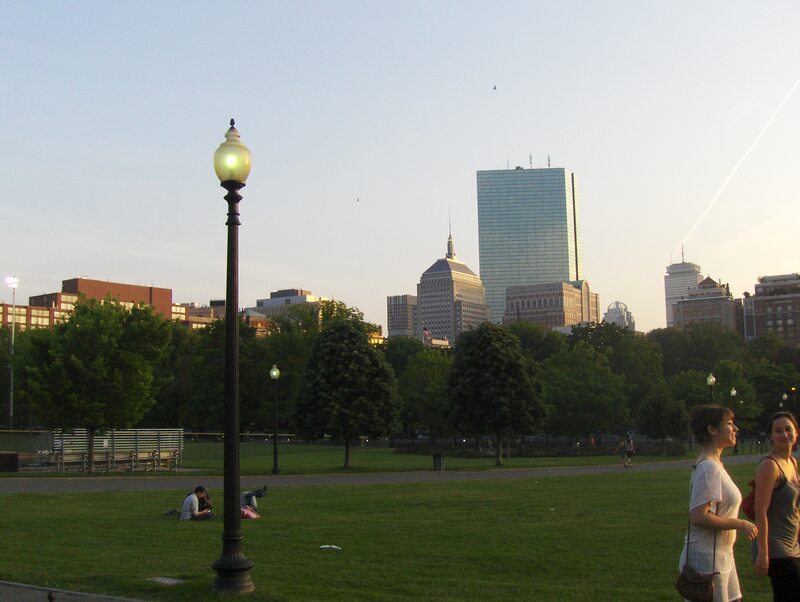 We wandered around Boston Commons the evening I arrived. The weather was absolutely perfect, and the park itself was so sprawling and green. We grabbed dinner at a bar and went to see “Bridesmaids.” I laughed so hard it was difficult to breathe.